"They are ringwraiths, neither living nor dead..."
The word "wraith", originating from Scottish dialects (naming of ghosts or spirits), they have been appearing throughout modern horror fiction, fantasy and sci-fi in various shapes. Common traits seems to be their darkness, shadowy form, and malice intent. 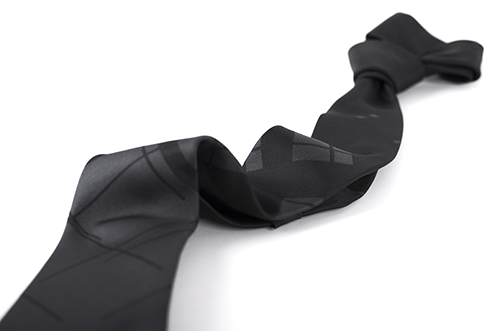 This tie design is a sharp take on the wraith with shadow play and straight, intertwined lines. 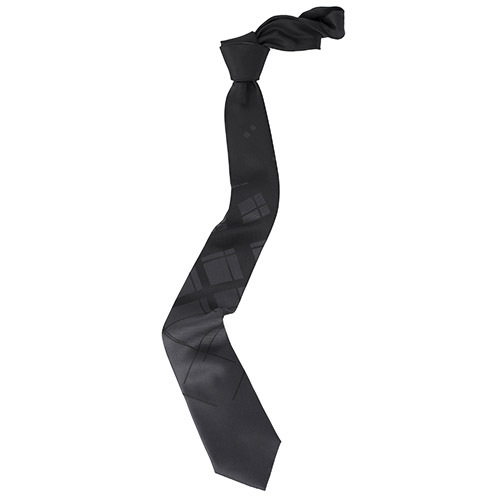 Use this tie as a subtle black tie with a well-fitted suit, or match it with a black shirt to make it stand out in the various black shades. Measurements: 6 cm (2.4") at tip, 145 cm (57") long in total. 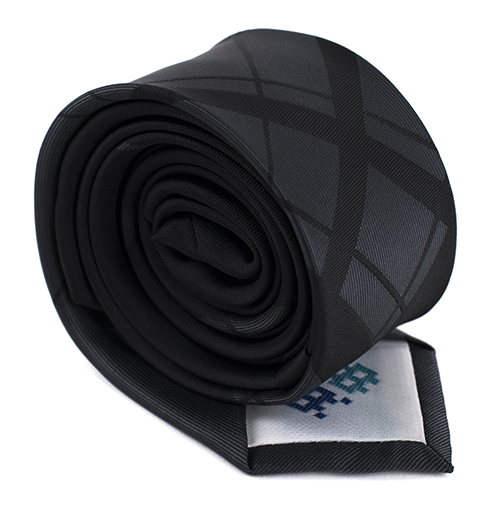 Tie colors: Black, dark grey.